When Chigwell Heating were contacted by Shepherds Bush Housing Association and informed that one of their properties had severe heating boiler problems, we dropped everything to help. Clifford Haigh House is made up of 40 flats which were serviced by three old boilers. Out of the three, two had broken down and the final one also needed replacing. Chigwell Heating team assessed the situation and put a plan into place. We put extra engineers on the job so that it would be done quicker which saved a couple of weeks and meant that the tenants were never without heating or hot water. 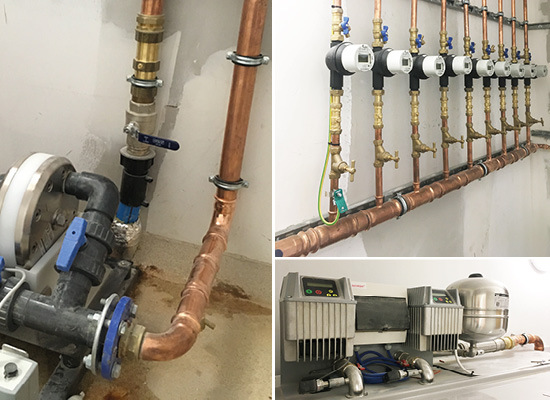 Chigwell Heating’s Director Donatas Pranevcius says “The pressure was on to get this job completed on time as we were already very busy with other work due to the time of year. But we have a very good relationship with Shepherds Bush so we pulled out all the stop to get the work completed”.